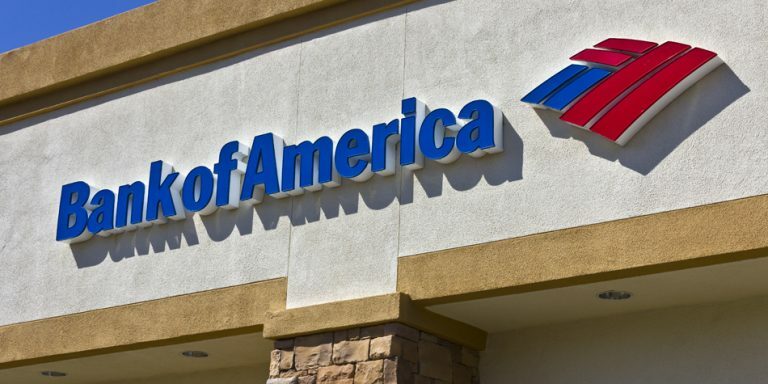 Bank of America (NYSE:BAC) has enjoyed the rising tide of late. BAC stock rallied more than 4% on Friday, and has now moved up 10% from its recent 52-week low, and it isn’t alone. With the new year, it looks like the worst has finally passed for the beleaguered banking industry. Long-term interest rates, which directly lead to banking profits, surged on Friday along with the stock market’s incredible rally. The Financial Select Sector SPDR ETF (NYSEARCA:XLF) jumped 3.3% on Friday, adding to its recent recovery off the lows. Sometimes investors need a fresh start, but is this the start of a bigger move, or should investors be cautious on BAC stock at this point? For now, the odds favor the upside. Let’s take a closer look. Interest Rates: Friend Or Foe? After the presidential election in 2016, long-term interest rates soared. It became conventional wisdom that Trump’s economic policies would lead to more economic growth and inflation. This, in turn, would cause interest rates to rise sharply. With stimulative policies such as the corporate tax cut in fact becoming law, this was a reasonable thesis. In 2018, this outlook started to break down, however. For one thing, the White House wasn’t able to get much more stimulative activity, such as an infrastructure package, made into law. On top of that, a global slowdown in growth weighed on investors’ expectations despite strong GDP and unemployment numbers in the United States. Throw in Powell’s less hawkish comments in October, and it set the stage for a big drop in both equities and interest rates this past quarter. Put it all together and you end up with a situation where the benchmark 10-year interest rate is actually going in reverse now. From mid-2016 through 2017 it surged from 1.6% to almost 3%. Last year, it traded around 3% most of the year, topping out at 3.25%. Once the October correction hit, however, the interest rate slumped to as low as 2.5% in recent days. That’s a 75 basis point move; the equivalent of three rate cuts in three months. To be clear, the Fed controls short-term interest rates, not long-term ones. The Fed has indicated that it may still continue to hike its short-term rate even more in 2019, despite the big drop in longer-term rates. That would be toxic for banking stocks, and explains why BAC stock has gotten pummeled. However, it’s unlikely that this worst case outcome will play out. One of the following two outcomes are more likely. If the economy dramatically slows down, then the Fed will stop hiking interest rates. They’ve already shown more caution in recent commentary as the market has slid. Powell may have felt forced to hike in December, given the questions about Fed independence, but it’s highly unlikely he’ll keep going down that path if the stock market slides into an outright bear market. The other alternative, which seems much more likely, is that the economy runs cooler than its peak 2018 levels, but remains well within growth territory. This would allow the Fed to potentially hike one more time. However, it would also cause the 10-year interest rate to shoot back up over 3% as investors realize that we aren’t really on the brink of another recession just yet. The euphoric response to Friday’s excellent jobs figures shows how much pent-up bullishness there will be for stocks on further signs that the economy is still performing well. Thus, Bank of America stock should do okay in either outcome. If the economy tips toward recession, the Fed will reverse course on interest rates and easing, giving a boost to the market. And if the economy remains robust, long-term interest rates will spike back up, causing profit margins for lenders to surge. I would argue that Bank of America stock was roughly fairly valued last year when it was trading around $30/share. At that price, it went for 1.2x book value and traded at 13x trailing earnings. You could make a case that the stock was worth considerably more, but conservatively, $30 is pretty easy to justify. 13x earnings is a fair price for a too-big-to-fail bank with some outstanding questions about its business outlook. At the recent $23 low, Bank of America stock hit book value and was going for just 10x trailing and 8x forward PE. That was much too low. The only explanation for that price was if, indeed, a recession is imminent. That said, it’s not all blue skies for Bank of America stock either. The company is still showing essentially no loan growth, as its runoffs of bad loans continue to cancel out its new loan underwriting. Without loan growth, it will be hard to sustain Bank of America’s recent EPS growth as the effects of the tax cut diminish. The bank also still has a bit of a management trust issue given is various strategic errors during the financial crisis. Some investors are unlikely to forgive the bank until we see how they fare during the next recession. I view American banks as a huge buying opportunity right now. That said, they are trading as a sector right now. Investors are not discriminating between the individual large banks too much, instead they are selling everything due to macroeconomic concerns. That means it’s harder to make the case that you should buy BAC in particular. For the most bang for your buck, Citigroup (NYSE:C) stock is more appealing selling at just 8x earnings and under 0.8x book value. And I personally haven’t bought any BAC yet because I prefer Goldman Sachs (NYSE:GS) at these levels. As I recently wrote, GS stock has the potential to be a big winner once the trade war ends later in 2019. Really though, all of these stocks are strong picks at these prices. Bank of America stock in particular should recover to $30 once this recession fear fades. At the time of this writing, Ian Bezek owned GS stock. You can reach him on Twitter at @irbezek. Article printed from InvestorPlace Media, https://investorplace.com/2019/01/bank-of-america-stock-rebound/.